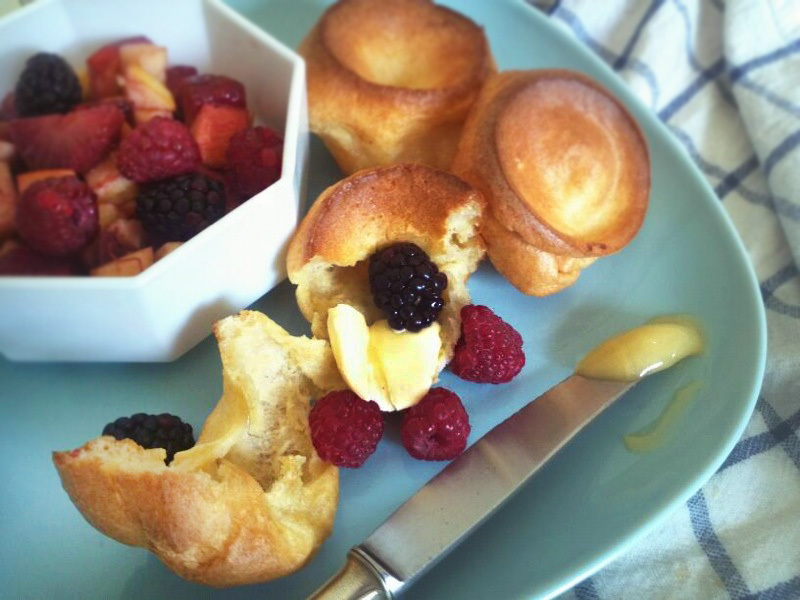 GRAZING WITH DANI: Popovers: Celebrating the End of My 40-Day Detox!! Popovers: Celebrating the End of My 40-Day Detox!! It's over!!! I made it!!! My 40-day experiment of removing sugar, processed carbohydrates, caffeine and alcohol from my diet finally came to an end. 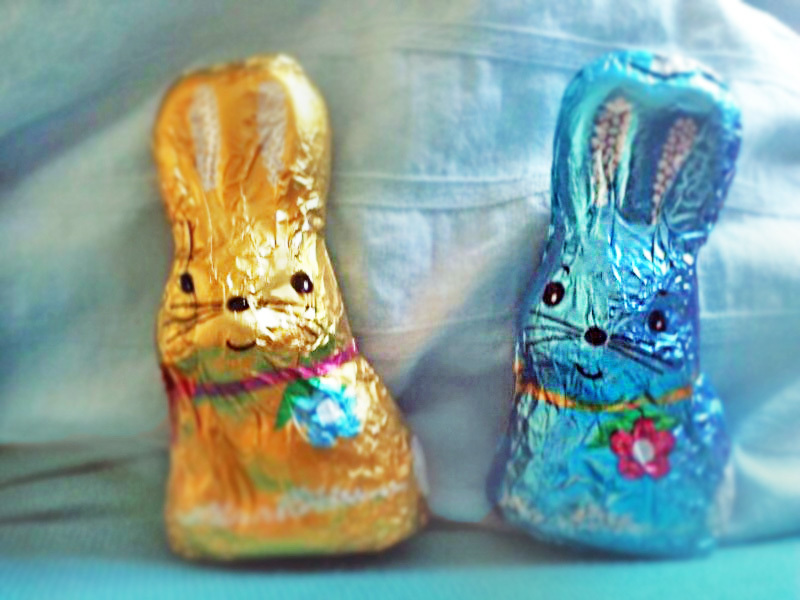 I completed my journey just in time to celebrate Easter with chocolate bunnies and champagne! Lucky me! Within the first week of my new, healthy diet, I was already planning what I would eat first once it was over. A bowl of cinnamon toast crunch? Walnut caramel ice cream? Chocolate chip cookies? Maybe just a plain baguette with jam and butter? After 40-days, I had plenty of time to figure out the perfect way to celebrate bringing sugar and flour back into my life. I like to think of them as French toast crossed with a croissant in muffin form. Crispy corners with a doughy, eggy center that is somehow still light and fluffy. They are so perfect, in fact, that when you pull them in half there is even a pocket in the center to load up with butter, honey, jam and fresh fruit. In my family, popovers are the breakfast of choice for holidays and celebrations. And I am always entrusted with baking them. You see, as delicious as they are, they can also be fickle like a soufflé. The key is making sure you don’t open the oven door while they are baking. All the hot air holding them up will rush out before they’ve had a chance to bake into the right shape. What is especially nice about these treats is that while they aren’t exactly as full of vitamins as a kale and spinach omelet they don’t require much sugar or fat compared to other baked goods. And, depending on what you top them with (reduced fat cream cheese, fresh fruit salad and honey are my favorite), they aren’t as decadent as they taste! Preheat oven to 450F (230C). Grease 12-cup muffin tin well with butter. Make sure all ingredients are room temperature. (Note: butter should be melted, but not be scalding hot or it will begin to cook the eggs.) In a large bowl, combine melted butter, milk, salt and flour and mix until just combined. In a small bowl, beat one egg then add and mix until combined. Repeat with second egg. Fill muffins 3/4th the way full. Do not add more. Place in oven immediately and bake 15 minutes. Reduce heat to 350F (175C) and bake for an additional 20 minutes. Do not open the oven while they are baking or they will deflate. They should roughly double in size. Serve warm.